Let's face it...nonprofit fundraising and management is not always smooth-sailing. Sometimes, despite our best intentions, there are problems. Hear from a couple of fearless women, Kathy Friend, CFRE, of CARTI and Ruth Shepherd with The Rep, who have faced challenges at two of Little Rock's most beloved institutions and previous employers. 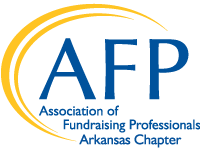 We will learn how to look for warning signs, policies and procedures that can help, what fundraisers can do and say, and techniques for leading through choppy waters.